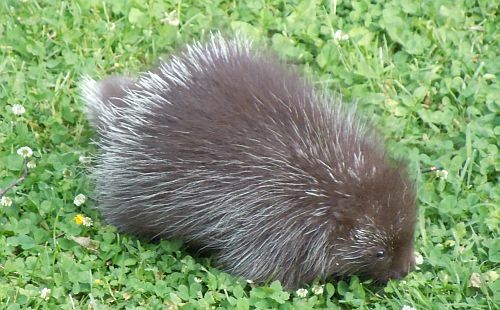 One evening this week, a young porcupine was discovered meandering on the lawn in the backyard. I’ve seen small porcupines on the lawn before, but never so close to the house. At first glance, this little one appeared soft and fluffy, like a cuddly stuffed toy one would pick up to snuggle. Its manner was certainly docile, but appearances can be deceiving. 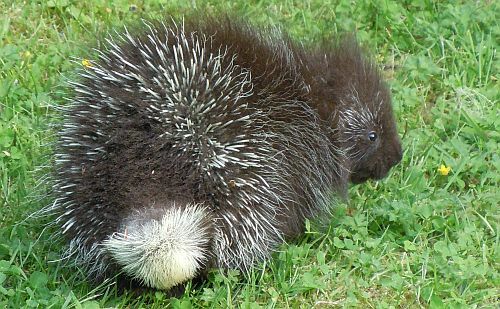 Longer hairs hide the quills on a porcupine’s backside, especially when viewed from the front. 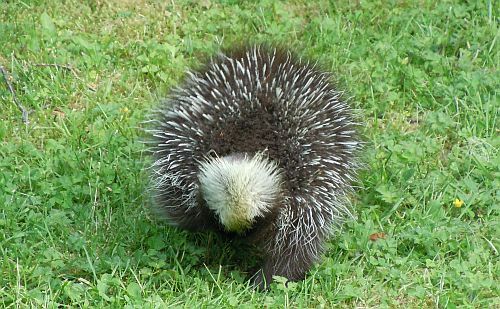 Porcupines are born, only one at a time, in April or May, after a gestational period of about seven months. 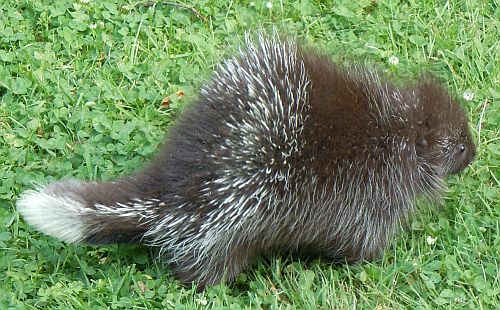 Even though it’s able to defend itself once its quills dry, a few hours after birth, the single young porcupine stays close to its mother for the first summer. Once it sensed our presence on the back deck, this little one raised its backside and headed towards the woods. Its white tail swayed back and forth as it went on its way, likely back to the arms of its awaiting mother.